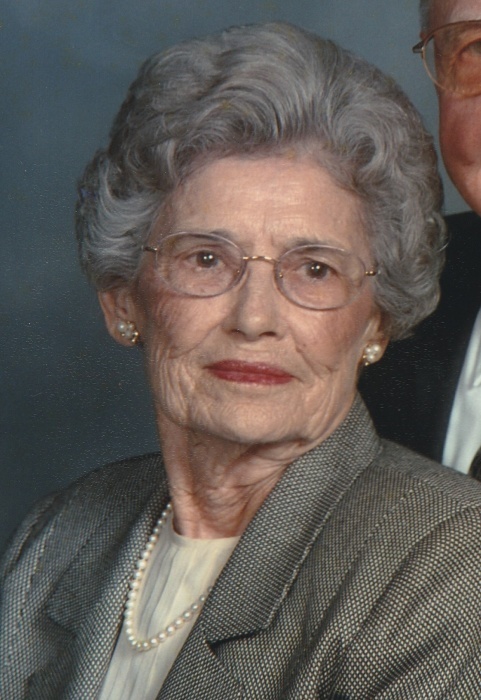 Inez T. Reeves, age 95, of Baxley passed away Thursday, April 4, 2019 under the care of Hospice of South Georgia. Mrs. Reeves was born September 7, 1923 to the late John Taylor and the late Bertie Lou Jones Taylor. Mrs. Reeves was a homemaker and bookkeeper for E.C. Reeves Construction. She had a love for gardening, needlework, family and friends. She was an active member of First Baptist Church serving as Sunday School Teacher for the Children’s Department, Choir Member, Julia Jarmen Circle and Queen Esther Sunday School Class. In addition to her parents, Mrs. Reeves was preceded in death by her husband of 65 years, E.C. “Short” Reeves and daughter, Linda Gail Reeves; brothers, Audrey Taylor and Aubrey Taylor; sisters, Willie Ina Carter Woods and Jeanelle Kimbrel Mayers. Survivors include her sister, Johnnie Faye Newton-Lamb (Orby), and her brother, Maxwell Taylor. Several special nieces and nephews also survive. Funeral services will be held Saturday, April 6, 2019 at 11:00 a.m. in the chapel of Swain Funeral Home with Rev. Jimmy Howard, Rev. Tommy Jordan & Rev. Mike Redwine officiating. Visitation will be held one hour prior to the service. Interment will follow in Omega Cemetery. Active pallbearers will be Randy Kimbrel, John Thomas Kimbrel, Rodney Taylor, Ray Tatum, James Clark & Carson Clark. Honorary pallbearers will be Kathy Solomon, Princez Baker, Brenda Rozier, Teresa Coley & Hospice of South Georgia. Remembrances may be made to Hospice of South Georgia 1625 Sunset Blvd., Jesup, Ga. 31545.